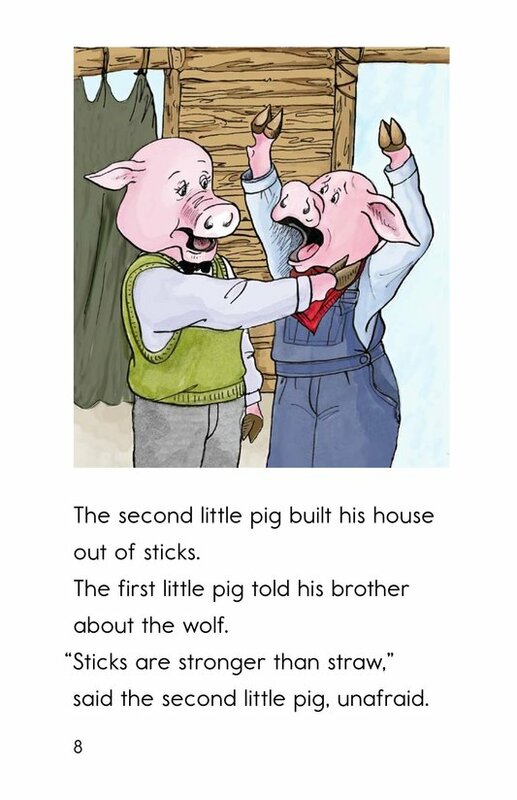 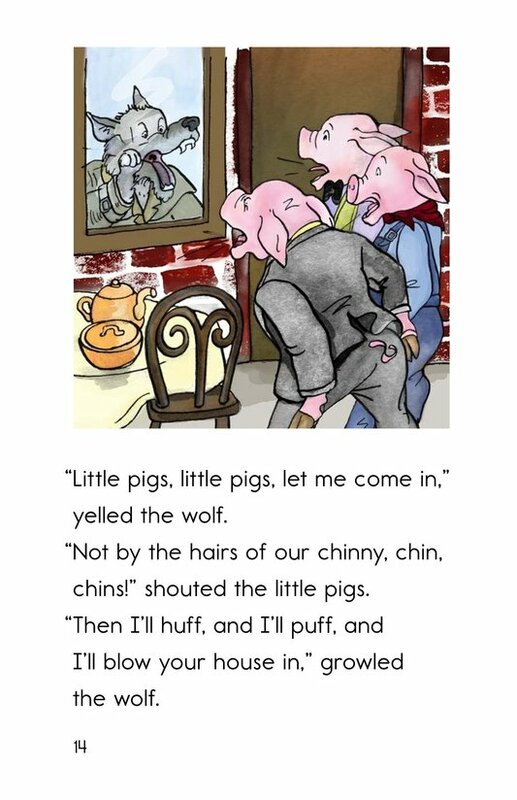 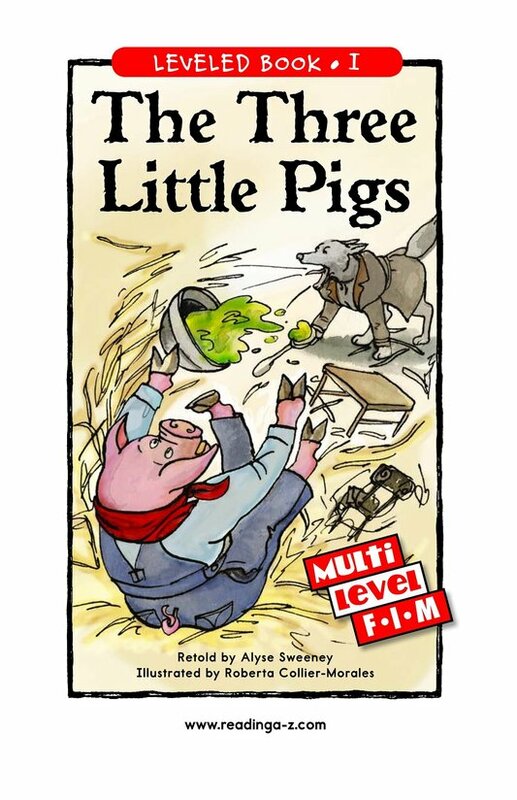 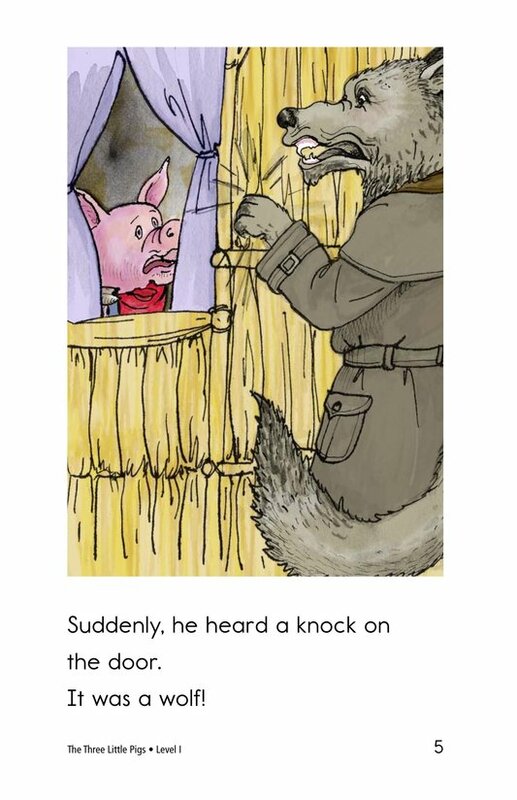 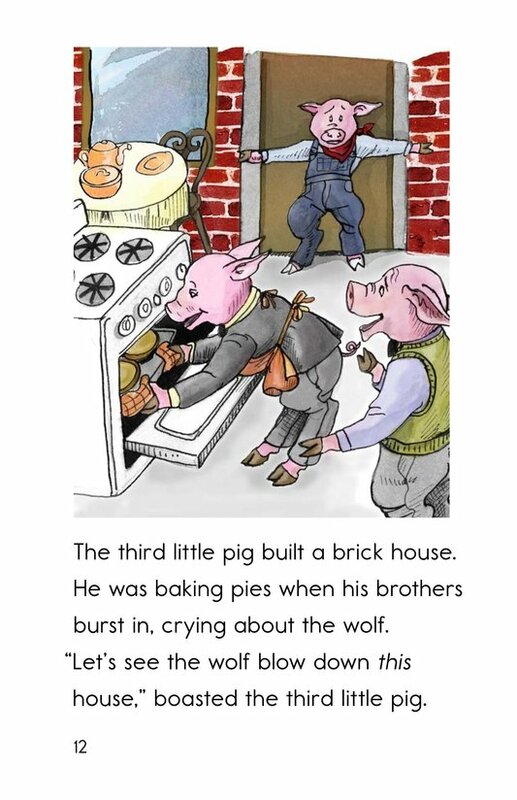 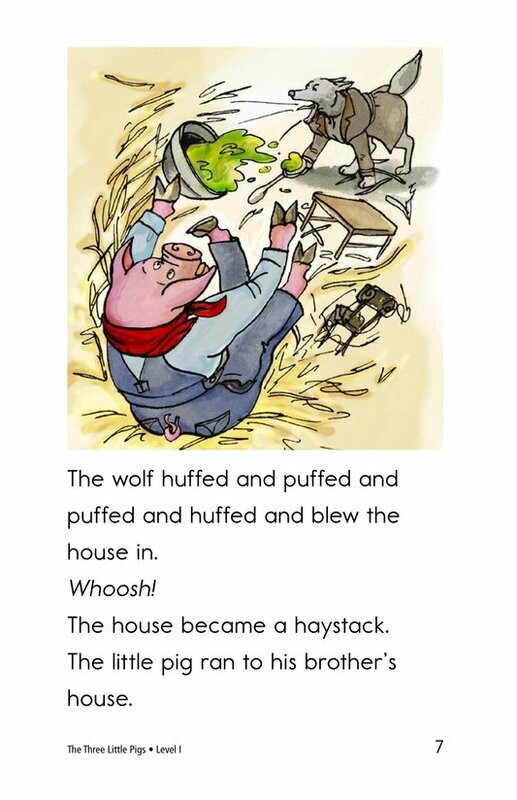 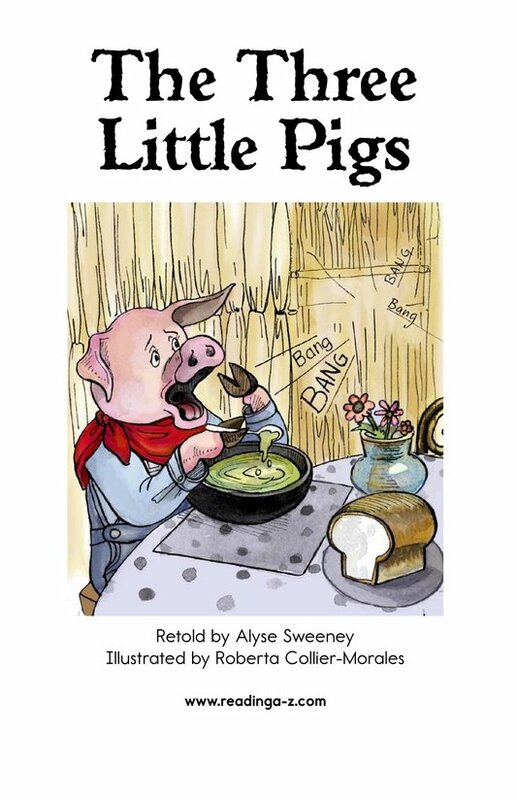 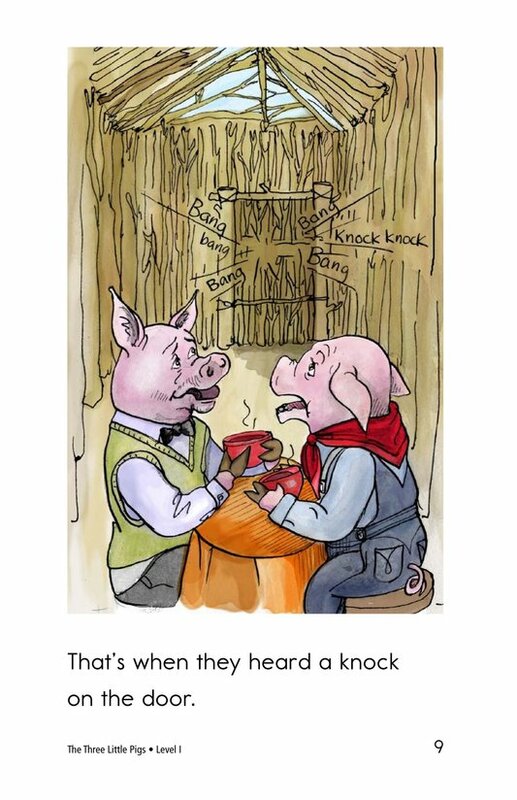 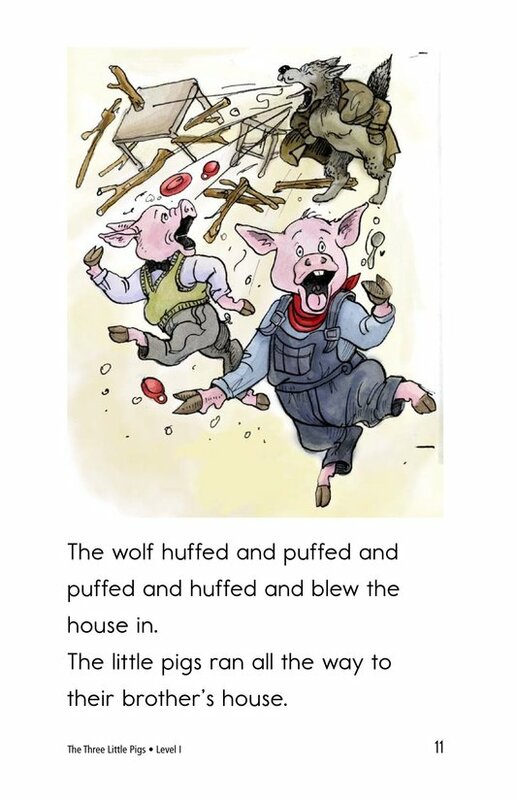 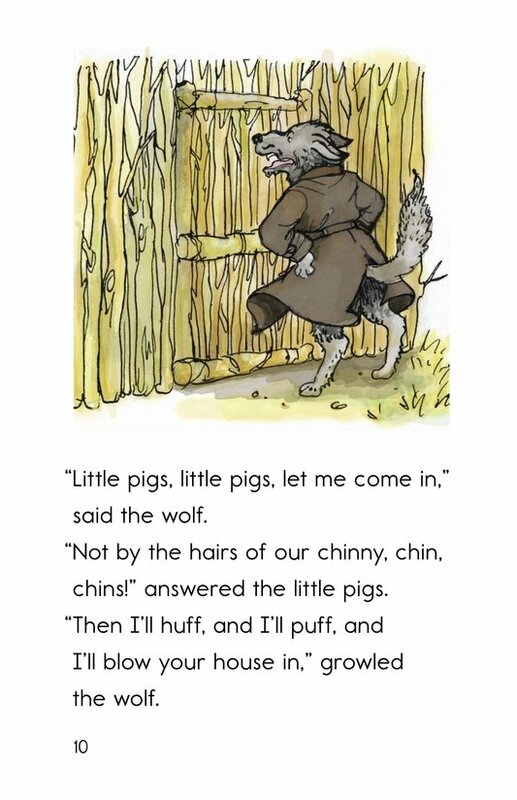 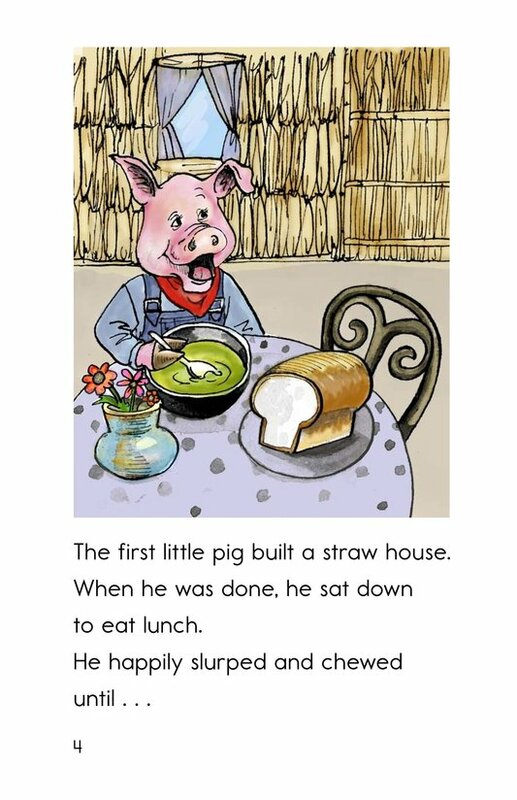 The classic fairy tale The Three Little Pigs is retold with rich description-featuring the big, bad wolf huffing and puffing to blow down the straw house, stick house, and brick house. 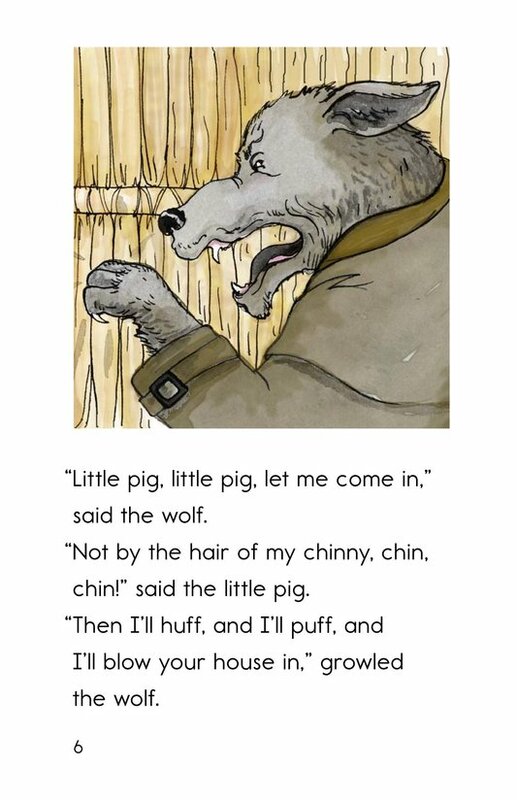 Memorable lines such as "Not by the hair of my chinny, chin, chin!" 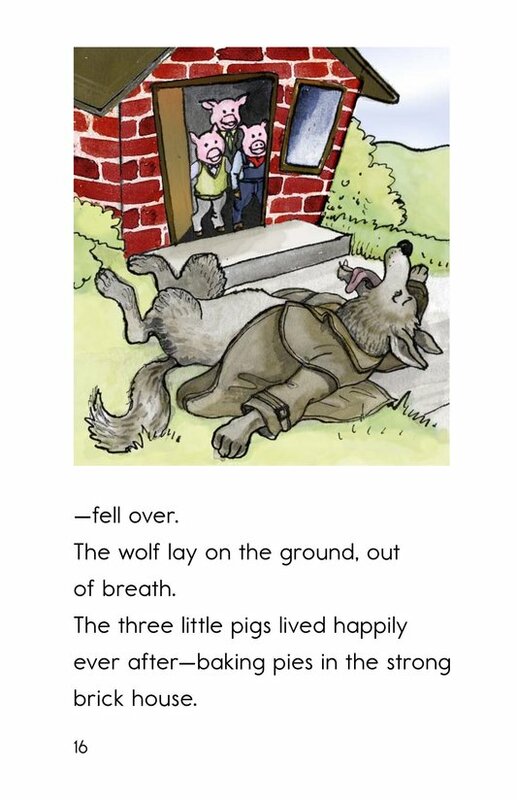 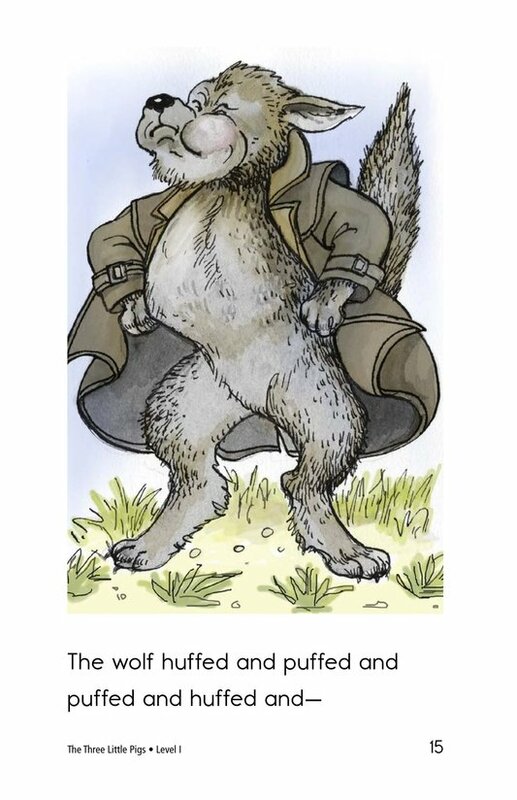 add to the fun, and the story ends with a breathless wolf toppling over in defeat. 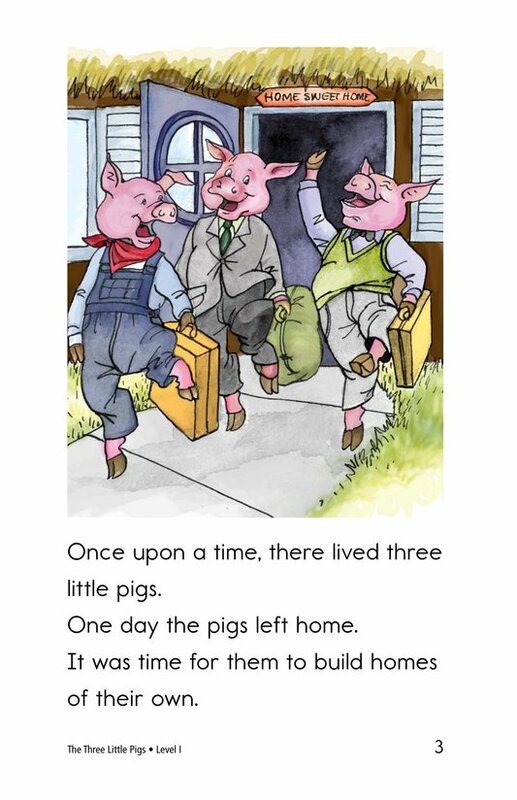 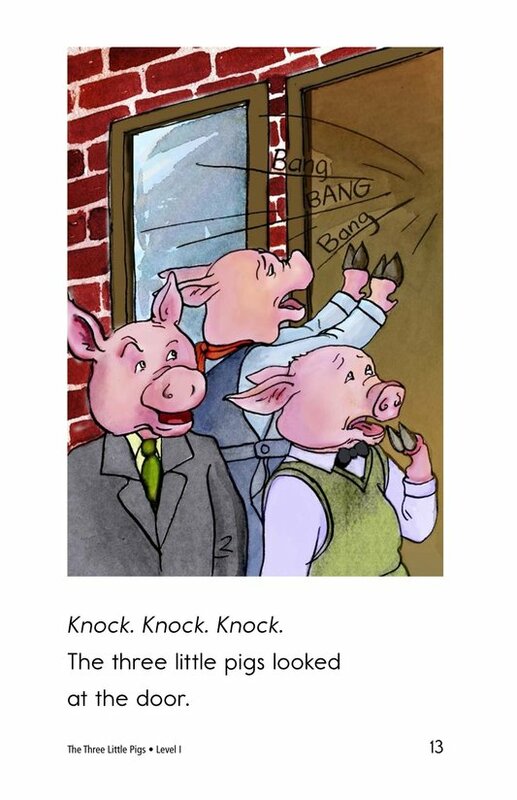 As expected, the three little pigs live happily ever after in the brick house. 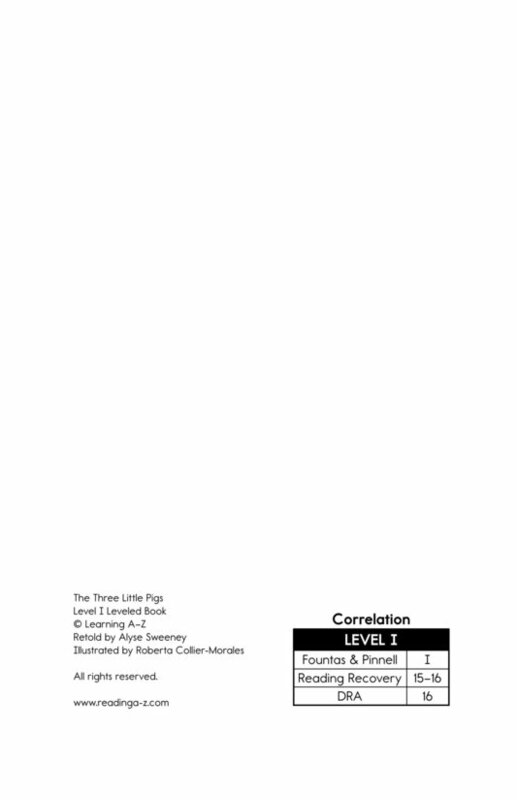 Book and lesson also available at Levels F and M.